Sue Pascoe was a commissioner on the recent Victorian Bushfires Royal Commission. 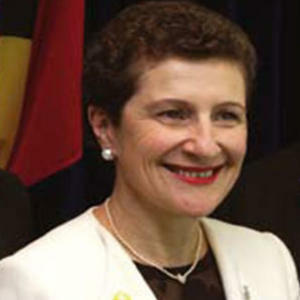 Sue Pascoe is a Commissioner with the State Services Authority chairing inquiries for the Victorian Government in regulatory and social policy. From February 2009 – July 2010 she was one of three Commissioners on the Victorian Bushfires Royal Commission established after the devastating bushfires on 7 February 2009 in which 173 people died. Ms Pascoe has chaired the Australian National Commission for UNESCO and participated in several Australian delegations to the OECD and to UNESCO. Earlier in her career she was professionally involved in the education sector where she held the roles of Chief Executive of the Victorian Curriculum and Assessment Authority and of the Catholic Education Commission of Victoria. Ms Pascoe has undergraduate and postgraduate qualifications in arts, education and administration. She was a visiting scholar at Harvard University in 1994. She has published and presented in the areas of governance, regulatory reform, civics and citizenship and systemic reform.